4 Solid Reasons to Order Café Blinds for Your Business Today! As a café owner, you must do everything you can to attract more customers and bring in more foot traffic. One of the best ways to do this is by occupying the patio space or veranda right in front of your café and furnishing it with more seating space. This will allow you to instantly increase your capacity and cater to more customers without having to undertake expensive remodels. However, if you do take this approach, you’ll need to ensure that you provide a comfortable seating space for your customers. You’ll need to protect them from the heat of the sun. For this, you must consider a shade product such as café blinds. Café blinds can do much more than make your outdoor seating area more comfortable. In fact, blinds can go a long way in enhancing your business. Let’s take a look at some solid reasons why you should consider investing in café blinds for your business. Adding café blinds to your patio or veranda will instantly enhance the visual appeal of your space. While blinds will add life and personality to your café, they will also make your space practical. At Global Shade, our outdoor blinds are available in many sizes and styles for you to choose from. From clear or tinted blinds to coloured blinds, we offer a full range of modern café blinds that are sure to enhance your aesthetic appeal. While café blinds will allow you to offer a shaded and comfortable seating space, they will also offer all-weather protection to your patrons and your outdoor furniture. Prolonged exposure to the sun’s rays can cause your outdoor furniture and furnishings to fade and wear down. However, by using blinds made of high-quality PVC or shade fabrics, such as ours at Global Shade, you can protect your outdoor furniture. A large number of people don’t like being on display or accessible to passer-by’s when they are at a café. Cafes are meant to provide a relaxing and cosy atmosphere with some amount of privacy. The easiest way to add privacy by creating a cosy nook in your café is with the help of café blinds. Café blinds are very easy to set up and operate, and you can choose to retract them whenever required. Blinds will allow you to offer your patrons privacy or a clear view as per needs. To attract new customers, you must ensure that you stand out from the competition. By adding customized café blinds, you can appeal to your customers and get noticed from afar. Here, at Global Shade, we offer tinted PVC café blinds that are ideal for businesses such as yours. 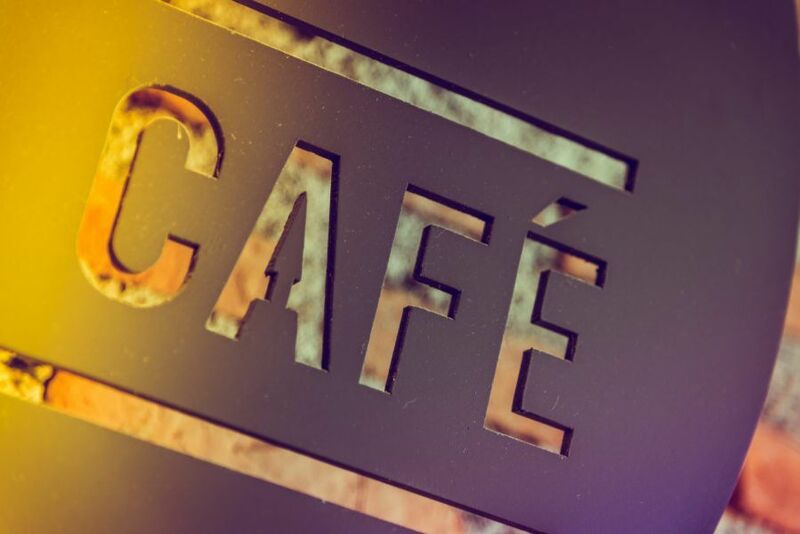 We can customise our café blinds to include your branding requirements and logo as well. Café blinds make a wonderful investment for your café. Adding blinds will increase your café’s visual appeal, they will protect your patrons and your furniture, and they will allow you to create a cosy nook. Café blinds can also be customised to meet your branding requirements as well. Contact us to find out more about our outdoor blinds today!